This international, prospective, observational trial aimed to recruit 4800 patients via an estimated number of 96 centres worldwide. Data collection was completed in March 2013. The LAS VEGAS investigators. 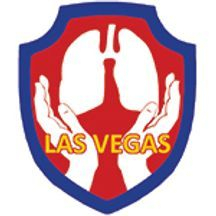 Epidemiology, practice of ventilation and outcome for patients at increased risk of postoperative pulmonary complications: LAS VEGAS - an observational study in 29 countries. European Journal of Anaesthesiology 2017; 34:492–507. Utility of an anaesthetic trainee led research network to contribute to multicentre studies. South West Anaesthesia Research Matrix ("SWARM"). Anaesthesia 2013; 68(S3): 44. Presented by Dr Danielle Franklin at the AAGBI Annual Congress, September 2013.